Origins of Time is a graphic design project that explores the varied perceptions and interpretations of the concept of time by ancient cultures. It looks at stories of creation and myths about the nature of time in an effort to understand the historical background of our current notions about time. Human kind has always measured time but the earliest concepts about it come from stories of the origin of life. Ancient cultures not only contemplated about the origin of the universe but also delved into the complicated nature of time – often describing it as linear, concurrent or even cyclical. 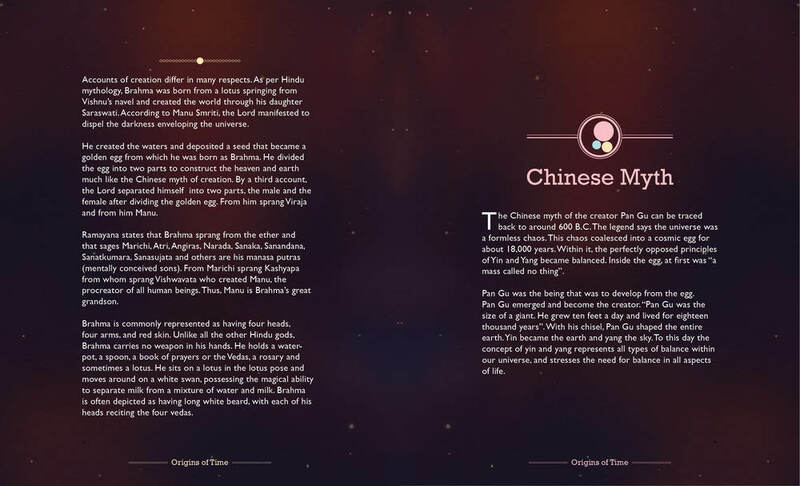 Mythology and Cosmology from these cultures accurately depicts their notions of time and its origins. 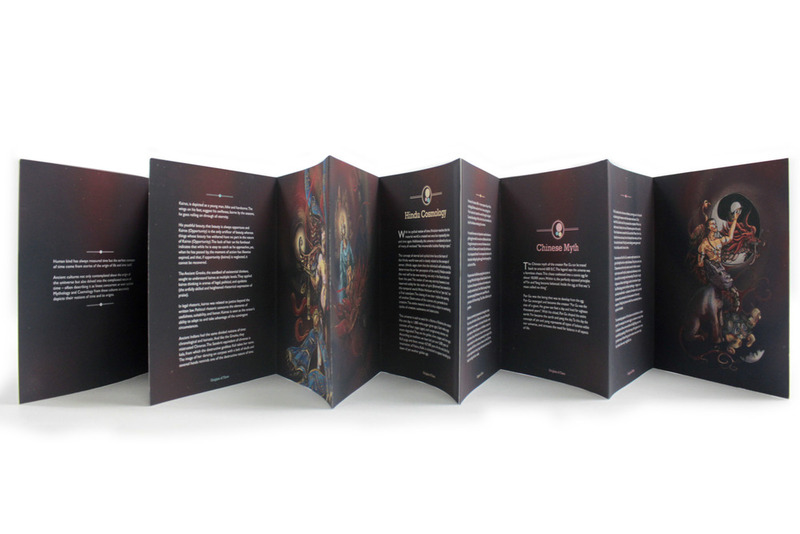 This project looked at Greek, Hindu and Chinese stories around the concept of time and tried to communicate them through publication design and illustration. 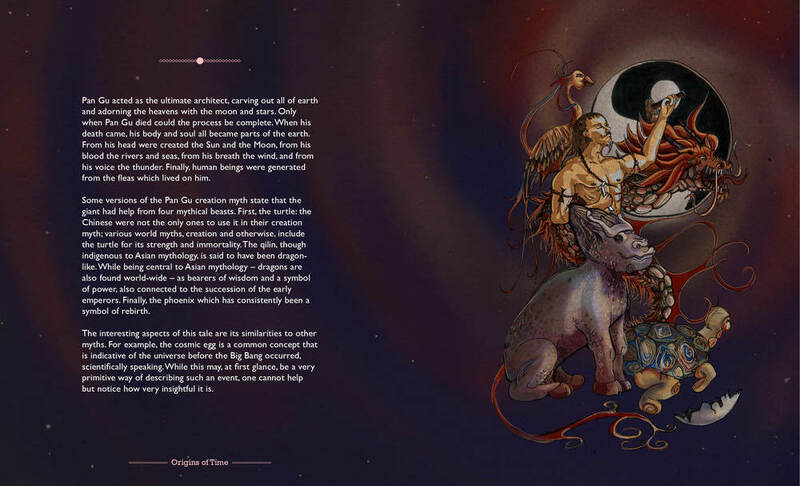 Scroll left and right in the image carousel to read about the Origins of Time and see images of the final publication.